I found this interesting fact in a book I bought recently called The Math Book by Clifford A. Pickover. The book is similar to a coffee table book in that it is nicely made with high quality paper and illustrations, although its size is about the same as a regular book. It consists of 250 entries one page in length with a color illustration on the facing page. The topics cover the whole range of mathematics and mathematicians. The entries are dated by year from c.150 Million B.C. (Ant Odometer) to 2007. Most of the years are from the current era of course. 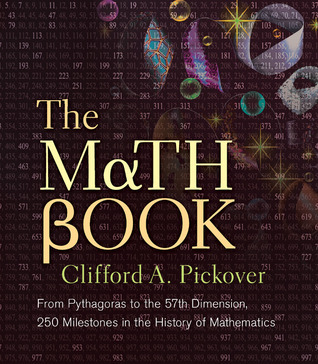 Each entry discusses the important mathematics discovered or developed in that year or a mathematician active in that time. Some entries are devoted to curiosities such as Aristotle’s Wheel Paradox (c.320 B.C.) or the Birthday Paradox (1939). Numerous mathematicians and their work are discussed. Games with mathematical features such as Go (548 BC), Mastermind (1970) and Awari (2002) make interesting entries. Unsolved and recently solved problems like the Riemann Hypothesis (1859) and the Four-Color Theorem (1852) are included. Mathematical inventions like the slide rule, (1621) and the Curta Calculator (1948) among others are discussed. Every page seems to have new ideas many of which I have never heard of (which doesn’t prove a whole lot). Do you know about Johnson’s Theorem (1916) or Voderberg Tilings (1936)? As the author points out, one page is not enough space to go deeply into each topic, but that is not the purpose of this book. Each essay includes reference to other related topics in the book. 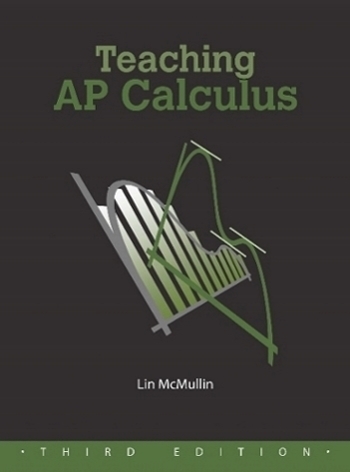 For those who want to know more or want their students to dig a little deeper, there are notes, references and further readings for every topic the end of the book. Each entry is fascinating, informative and fun. How am I going to use this in my classes? I thought that each day I would have a student pick a date and then read the entry closest to that date. My goal will be simply to give the class a hint of the breadth of mathematics, the people who made mathematics, and the wide range of things mathematical. That looks fascinating! I would love to have that book for personal and classroom use!